High carbon steel blade. Iron guard and pommel. Wooden handle wrapped. Blade Thickness: 4 mm. - Weight: 1,25 kg. - Balance Point: 16 cm. 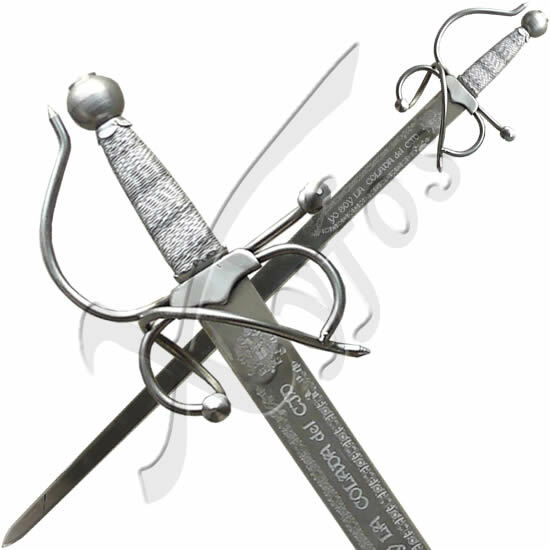 In the blade is acid etched the motto "Yo soy la Colada del Cid"
It can ve ordered with or without scabbard ( delaiys the delivery 2 - 3 weeks ).